Winter is on the way, and it is not going to wait for you to buy a new furnace. You need to start thinking about your purchase now so that you can be ready for the colder weather. By planning ahead, you will avoid having an emergency Katy HVAC repair call in the middle of a cold snap. These tips will help you make the right choice. 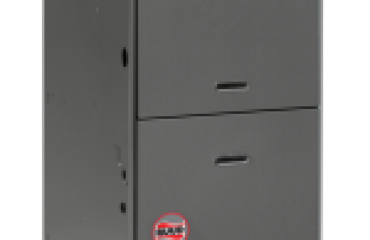 At first, you may be overwhelmed by the available options for your new furnace. The size, type and efficiency rating will all have an impact on the cost of your new furnace and how much you will spend to keep your home cozy. These concerns will also have a bearing on how long you can expect it to perform at its peak level. Proper size and expert installation are two of the most important factors. The first consideration is the furnace’s annual fuel utilization efficiency (AFUE). You should always choose the most efficient furnace that you can afford. Regulations stipulate that minimum-efficiency furnaces must have an AFUE of at least 80 percent. That means 20 percent of the natural gas is being wasted. High-efficiency condensing furnaces rate as high as 97 percent. By lowering your monthly heating bill, these models will pay for themselves. You should keep these things in mind when selecting a new furnace. Your central heating and cooling system could be either a packaged system or a split system. With a packaged system, your heating and cooling components are housed in a single unit. Packaged systems are good if you lack space inside your home. 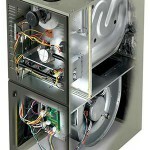 On the other hand, split systems have a furnace, a condensing unit and a coil that is mounted on top of your furnace. They are usually found in the attic, utility room or crawlspace. The most economical way to heat your home when the weather dips close to freezing is with natural gas. Electric furnaces are an alternative, but they can cost more to run than a gas furnace because electricity rates are higher. The least expensive option is an electric-powered heat pump, which does not use as much electricity as an electric furnace. They also have the added benefit of functioning as an air conditioning unit in summer. 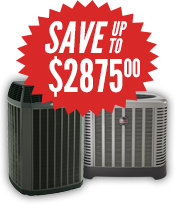 An electric-powered heat pump could help you avoid a Katy air conditioning repair next summer. You may have noticed that different areas of your home heat or cool faster than others. This is due to location, number of windows, etc. For example, your thermostat may be near an area that warms rapidly. When the thermostat reaches the desired level, the rest of the house may not be as warm or as cool as it is near the thermostat. Conversely, if your thermostat is in an area that takes longer to heat, the rest of the home may be hotter than the area near the thermostat, which will result in a higher heating bill. A zoned system uses several thermostats that control their own zones. As the different zones become warm, dampers in your ducts will open or close so that the temperature within your home remains even. This assures that you will spend the least amount of money to keep your home comfortable all year long. You can also choose between variable- and fixed-speed blowers. Variable-speed units alter the speed of the blower so that it is quieter and keeps the air at a more consistent temperature. 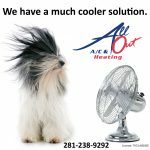 All Out A/C and Heating can consult with you and recommend a heating system that is the best fit for your home. Give us a call at 281-238-9292. We have been serving Katy, Sugar Land and Houston for over 25 years. 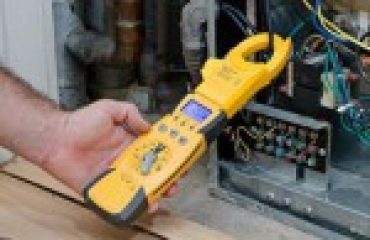 We are available 24 hours a day for emergencies, such as a Sugar Land air conditioning repair.